UPDATE 3/17/2016: SeaWorld has announced it will no longer breed orcas. Read more here. SeaWorld announced Thursday that it will never again breed another orca. The end of this era at SeaWorld parks is a major victory for animal advocates seeking an end to keeping intelligent marine animals captive. And SeaWorld's executive decision comes after years of controversy, since the 2013 film "Blackfish" allowed former employees to speak out against how orcas were being treated, and public outcry followed. Sadly, the orcas still in tanks at SeaWorld - well, their lives have pretty much stayed the same. Here is every single orca still in a SeaWorld tank. 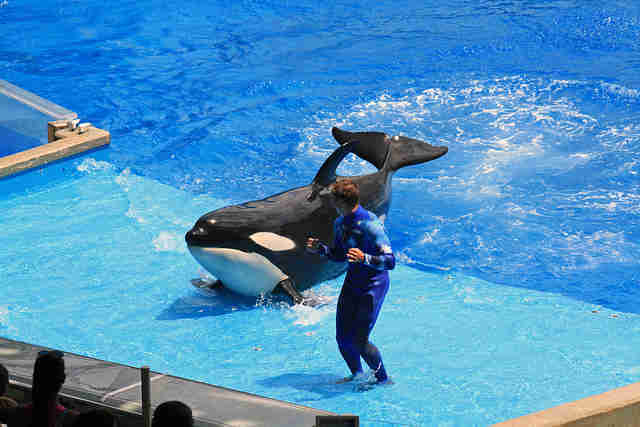 Corky 2, at SeaWorld San Diego, has been in captivity for 44 years. She was captured at age 3 in Canada. Katina, at SeaWorld Orlando, has been in captivity for 36 years. She was captured at age 2 in Iceland. Kasatka, at SeaWorld San Diego, has been in captivity 37 years. She was captured at age 1 in Iceland. Flickr/Bryce BradfordUlises, at SeaWorld San Diego, has been in captivity 33 years. He was captured at age 3 in Iceland. Facebook/Sea World San Diego OrcasTilikum, at SeaWorld Orlando, has been in captivity for 31 years. He was captured at age 2 in Iceland. 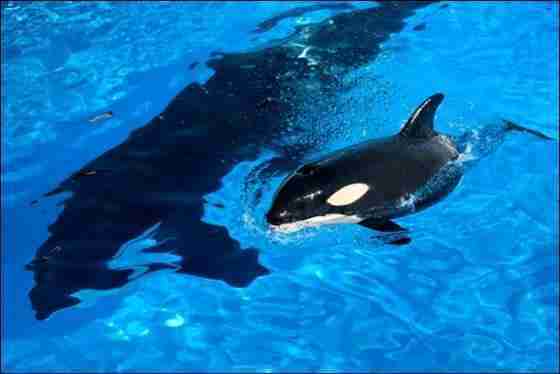 Facebook/The Orca ProjectOrkid, at SeaWorld San Diego, has been in captivity 28 years. She was born in captivity. 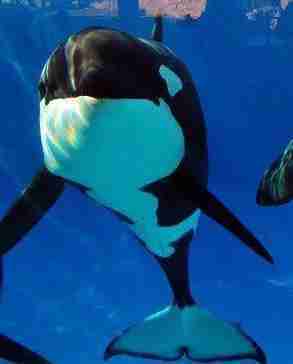 Facebook/Sea World San Diego OrcasKayla, at SeaWorld Orlando, has been in captivity 28 years. She was born in captivity. Flickr/Jeff KrausTakara, at SeaWorld San Antonio, has been in captivity for 25 years. She was born in captivity. Flickr/Ed SchipulKyuquot, at SeaWorld San Antonio, has been in captivity for 25 years. He was born in captivity. Flickr/jordanteaKeet, at SeaWorld San Diego, has been in captivity for 23 years. He was born in captivity. 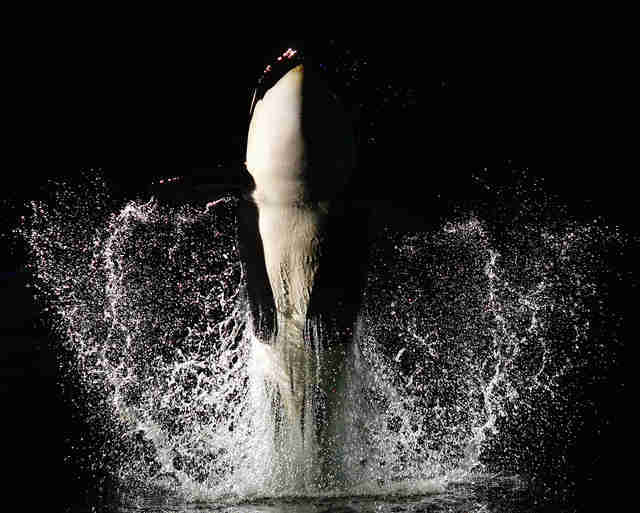 Flickr/lolilujahShouka, at SeaWorld San Diego, has been in captivity for 23 years. She was born in captivity.Flickr/JerryTuar, at SeaWorld San Antonio, has been in captivity for 17 years. He was born in captivity. Flickr/jordonteaNakai, at SeaWorld San Diego, has been in captivity for 15 years. He was born in captivity. 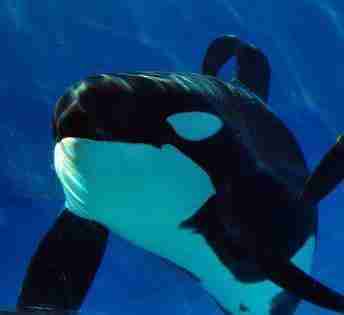 Facebook/The Orca ProjectIkaika, at SeaWorld San Diego, has been in captivity for 14 years. He was born in captivity.Flickr/mliu92Kalia, at SeaWorld San Diego, has been in captivity for 12 years. She was born in captivity.Flickr/Bryce BradfordTrua, at SeaWorld Orlando, has been in captivity 11 years. He was born in captivity. Flickr/Bryce BradfordNalani, at SeaWorld Orlando, has been in captivity 10 years. She was born in captivity. Flickr/Rich JacquesMalia, at SeaWorld Orlando, has been in captivity 9 years. She was born in captivity. Flickr/Rich JacquesSakari, at SeaWorld San Antonio, has been in captivity for 6 years. She was born in captivity. SeaWorld & Aquatica, Texas on Instagram: "Help us give a huge birthday shoutout to Sakari as she turns 5 today! 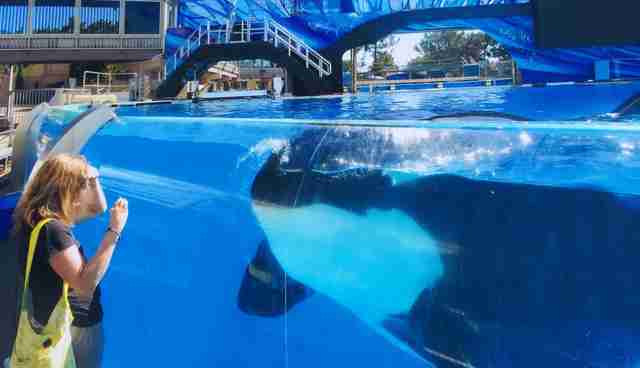 #SeaWorldTexas"
Kasatka, at SeaWorld San Diego, has been in captivity 37 years. She was captured at age 1 in Iceland. 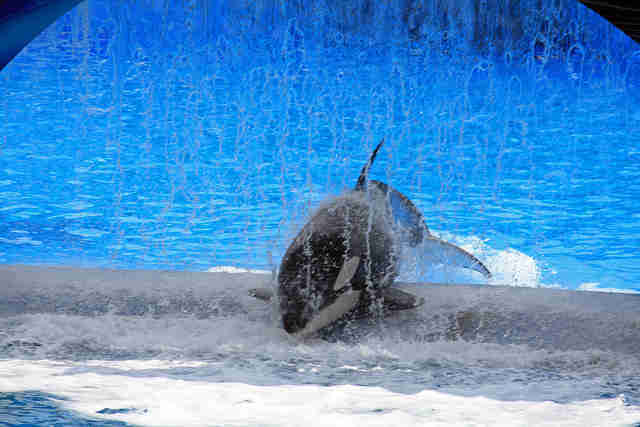 Ulises, at SeaWorld San Diego, has been in captivity 33 years. He was captured at age 3 in Iceland. Tilikum, at SeaWorld Orlando, has been in captivity for 31 years. He was captured at age 2 in Iceland. 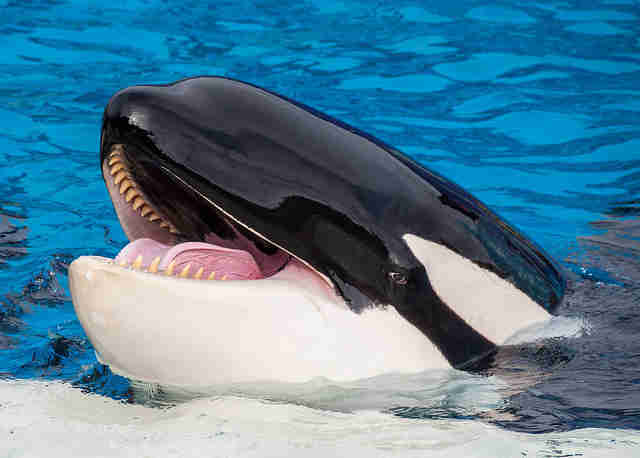 Orkid, at SeaWorld San Diego, has been in captivity 28 years. She was born in captivity. Kayla, at SeaWorld Orlando, has been in captivity 28 years. She was born in captivity. 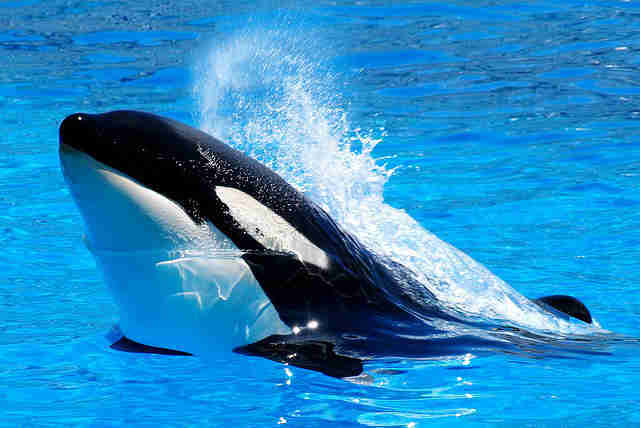 Takara, at SeaWorld San Antonio, has been in captivity for 25 years. She was born in captivity. 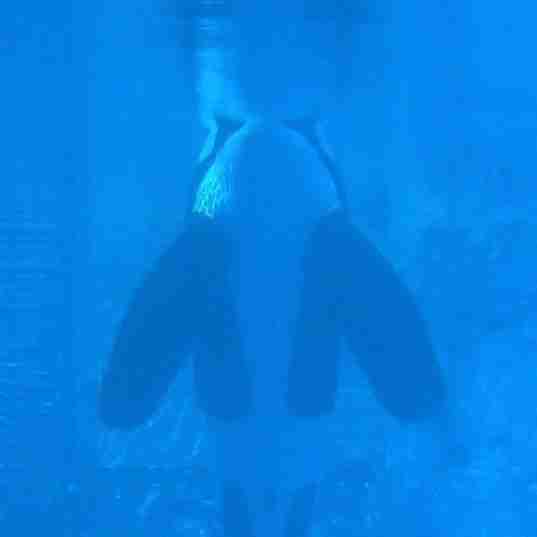 Kyuquot, at SeaWorld San Antonio, has been in captivity for 25 years. He was born in captivity. 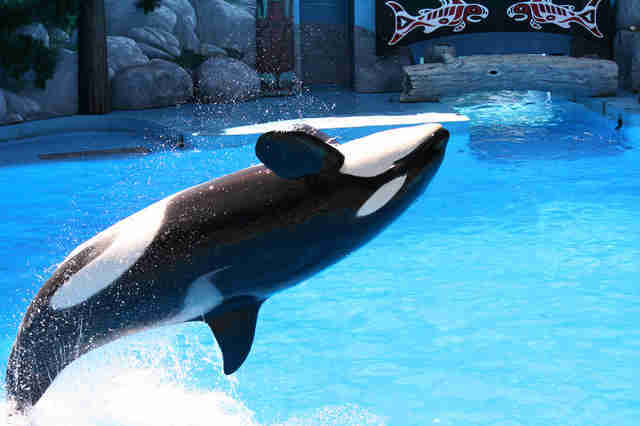 Keet, at SeaWorld San Diego, has been in captivity for 23 years. He was born in captivity. 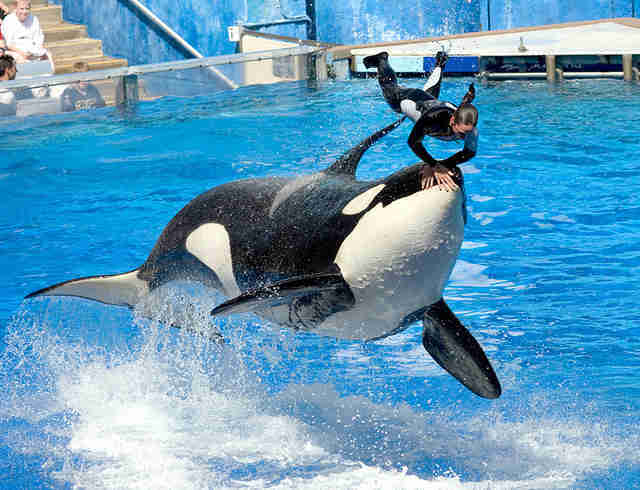 Shouka, at SeaWorld San Diego, has been in captivity for 23 years. She was born in captivity. 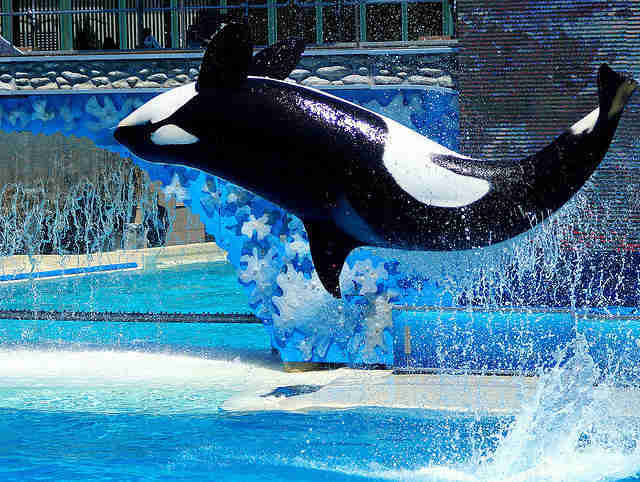 Tuar, at SeaWorld San Antonio, has been in captivity for 17 years. He was born in captivity. 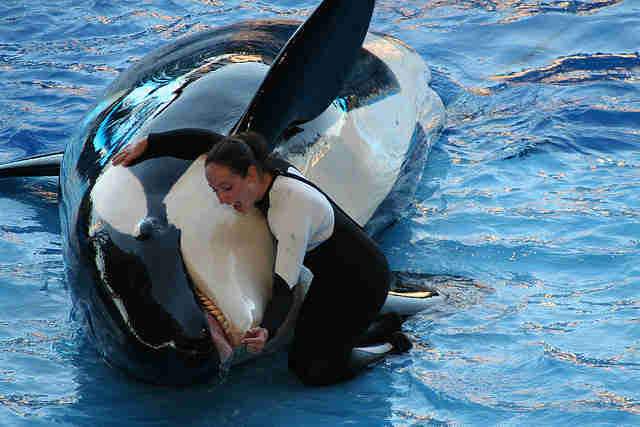 Nakai, at SeaWorld San Diego, has been in captivity for 15 years. He was born in captivity. Ikaika, at SeaWorld San Diego, has been in captivity for 14 years. He was born in captivity. 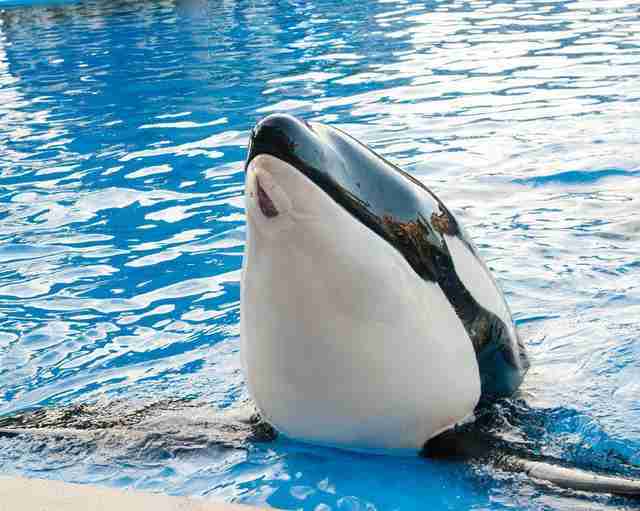 Kalia, at SeaWorld San Diego, has been in captivity for 12 years. She was born in captivity. 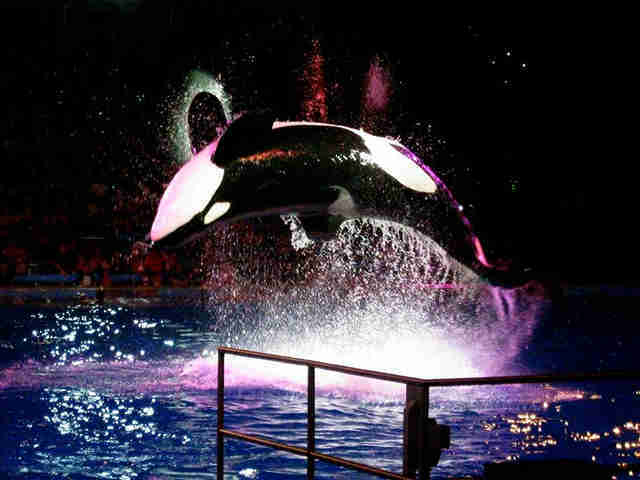 Trua, at SeaWorld Orlando, has been in captivity 11 years. He was born in captivity. Nalani, at SeaWorld Orlando, has been in captivity 10 years. She was born in captivity. Malia, at SeaWorld Orlando, has been in captivity 9 years. She was born in captivity. 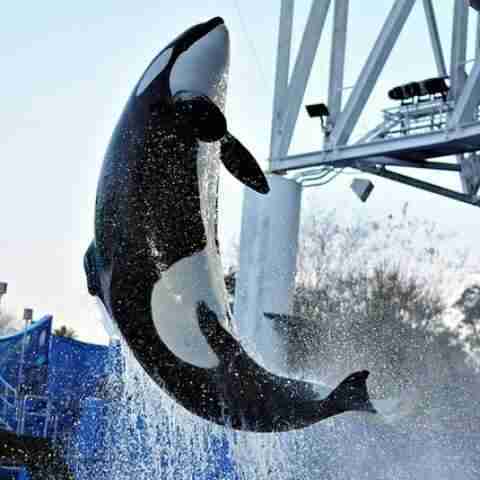 Sakari, at SeaWorld San Antonio, has been in captivity for 6 years. She was born in captivity. SeaWorld & Aquatica, Texas on Instagram: "Help us give a huge birthday shoutout to Sakari as she turns 5 today! #SeaWorldTexas"
Makaio, at SeaWorld Orlando, has been in captivity 6 years. He was born in captivity. Makani, at SeaWorld San Diego, has been in captivity for 3 years. He was born in captivity. SeaWorld & Aquatica San Diego on Instagram: "Guess who's 2 today? HAPPY BIRTHDAY, MAKANI!!! Join us in greeting this cutie "whale wishes", Fans! 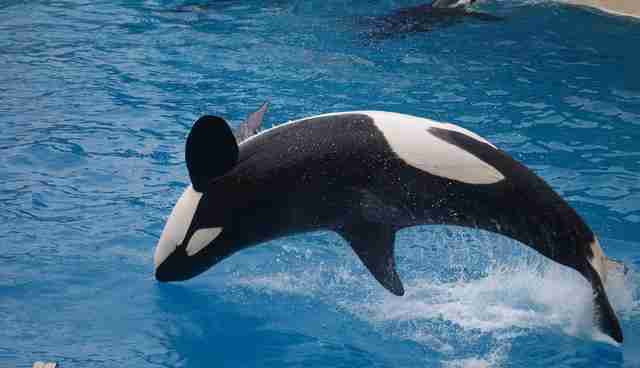 ðððððð"
Kamea, at SeaWorld San Antonio, has been in captivity for 3 years. She was born in captivity. Amaya, at SeaWorld San Diego, has been in captivity for just over one year. She was born in captivity. Finally the tide has turned - but for these orcas, it's too little too late.